For Father’s Day she made a book about what makes her dad special. She’s at the age where she spells everything phonetically, which can make for some pretty interesting reading. What a difference one letter can make! 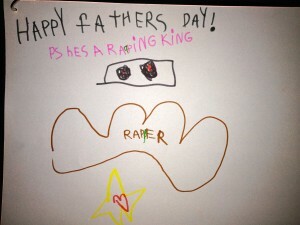 I had her add attempt to add another “p” so that Colby wouldn’t be mortified that I’m posting this. He didn’t think it was funny at all and wants to know why the teacher didn’t correct her. 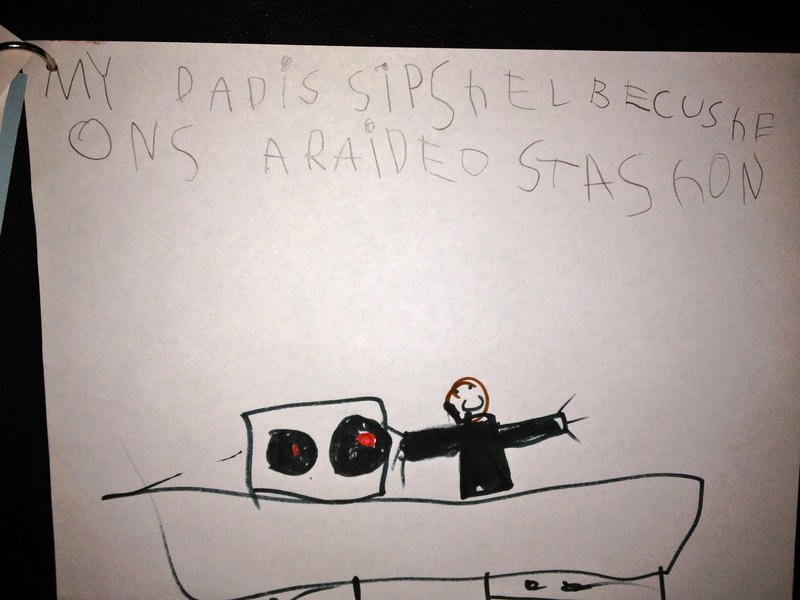 They say at her age, it is more important for her to write all the sounds she hears rather than focus on spelling. Poor thing! She meant well. So, I set out to teach Journey more about how money works. I started with this fabulous financial literacy program for children that PNC has called Grow Up Great. 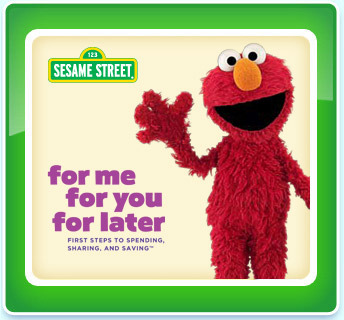 For Me, For You, For Later is done in conjunction with Sesame Workshop and features characters from the beloved children’s program. The packet is available for free at all PNC branches in English and Spanish and includes a DVD and activity book. For Me, For You, For Later is also available online.